Subsequently, transporters have to make registration every time for transportation of goods worth Rs. 50,000. So, central govt. is going to make this inter state e-way bill compulsory from 1 February 2018. Moreover, govt. will make this inter state and intra state e-way bill compulsory from 1 June 2018. GoM has announced that the Central govt. 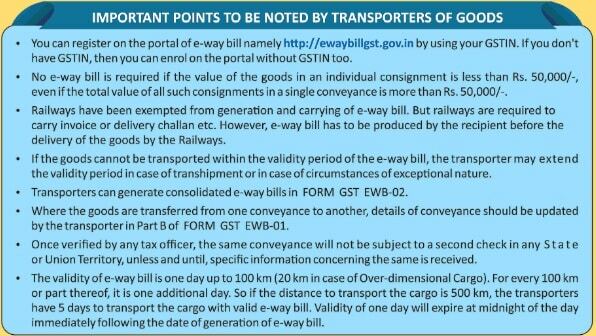 is going to implement GST E-way Bill from 1 April 2018. In the 26th cabinet meeting, final decision on the roll-out of GST E-way Bill (inter state) will remain 1 April as per the GST Council decision on 10th March 2018. Make e way bill login at the e way bill system / e way bill portal. 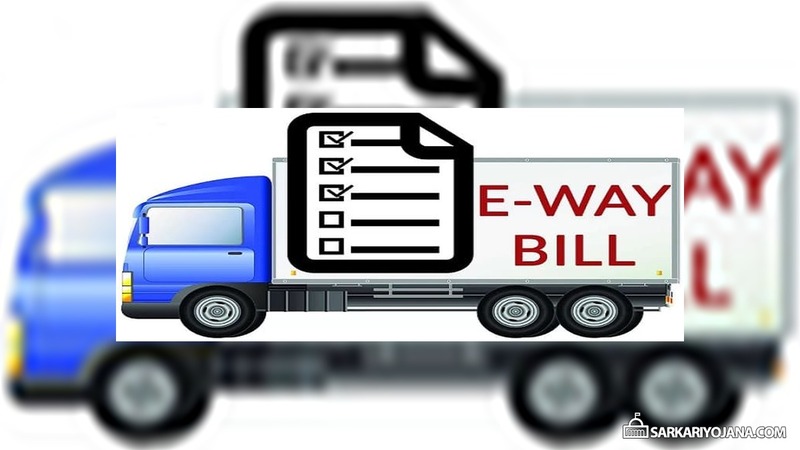 Till now 10 states namely Karnataka, Rajasthan, Uttarakhand, Kerala, Haryana, Bihar, Maharashtra, Gujarat, Sikkim, Jharkhand have already started using e-way bill through GST Network (GSTN). National Informatics Center (NIC) has developed this portal. Subsequently on the homepage, click the “e-way bill Registration” link present at the right side of the page. Direct Link – Businesses can directly click this link to make online registration. Here candidates have to fill the GSTIN Number, click the captcha and then click the Go option to make online registration. Even the transporters and citizens can make online enrollment and thus can make Login at the official website. 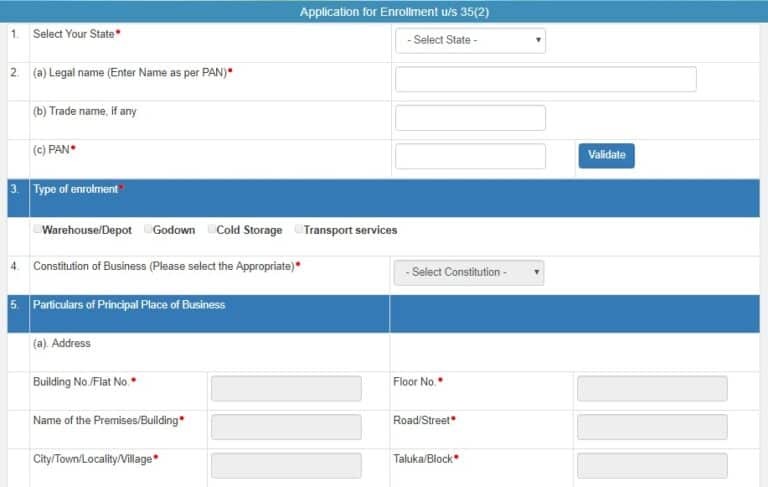 Accordingly, click the “Enrollment for Transporters” link present at the right side of the page. Accordingly, candidates have to fill the enrollment form along with the complete details. Finally, candidates have to click the “Submit” button. This E-Way Bill is based on the motto “One Nation, One Tax, One Market”. VAT Authorities has already issued printed booklet to all the businesses / dealers who are regularly paying taxes. Accordingly, the central govt. 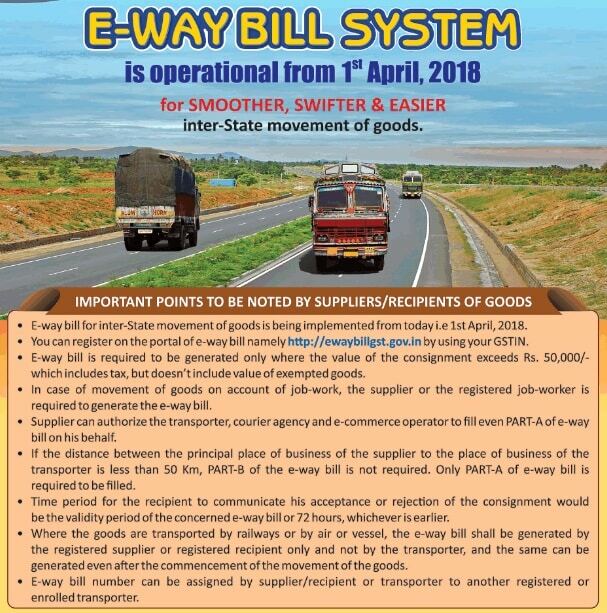 is going to make the inter state and intra state e-way bill mandatory from 1 June 2018. TOTALY BAKWAS….& WASTE OF TIME BUSINESMAN NO WORK ACCEPT DOCUMANTAION ….